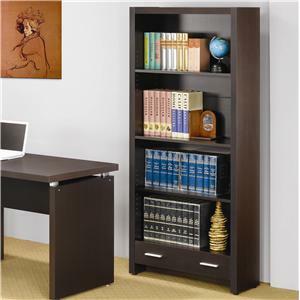 Display your books, frames and decorative accents to their fullest with the help of this contemporary bookcase. Four spacious shelves provide a stylish resting place for storing your home library or displaying diplomas, awards and decor. 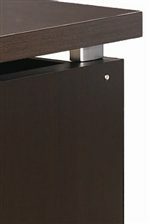 A lower storage drawer offers just the right amount of hidden storage, perfect for stowing office supplies, and is crowned with silver accent hardware for a contemporary finish. A rich cappuccino hue bathes the entire bookshelf for a modern look and feel that instantly updates your home. 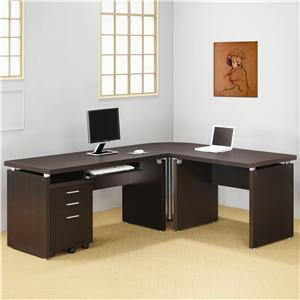 Pair with the coordinating L shaped desk for a home office that works as hard are you do. The Skylar 4 Shelf Bookcase with Storage Drawer by Coaster is available in the Uhaul, Ocean Grove, New Jersey, Monmouth County, Neptune area from Ocean Grove Mattress And Furniture 732-898-9650. 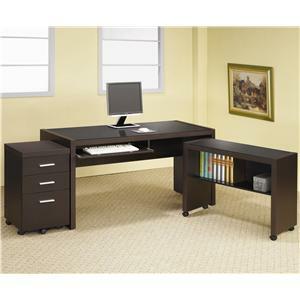 Take the hassle out of outfitting your work space with the versatility and functionality of the Skylar home office collection. 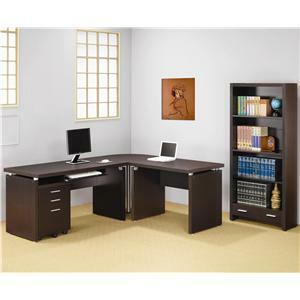 A chic, contemporary design and understated Cappuccino finish characterize this complete home office set - an exceptional fit for your modern home. 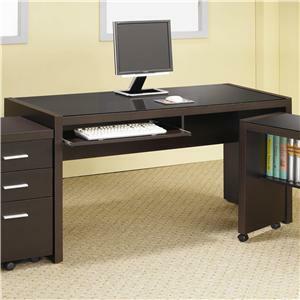 A stylish L shaped desk combines the storage capabilities of an under desk file cabinet with the extended work space of two rectangular table desks. 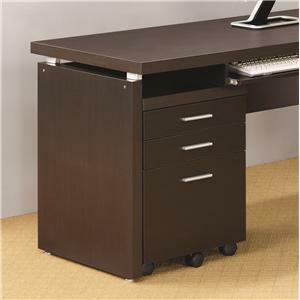 A pullout keyboard drawer adds computer ready convenience to the left side of the desk, which offsets its generous work space with the hidden storage offered by a three drawer file cabinet on casters that slides neatly under the desk's surface. 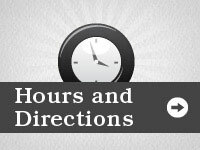 On the right, a corner desk and simple table desk add even more room for storage, display or work purposes. 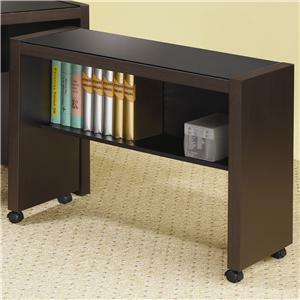 A bookcase with four shelves and a pullout drawer complements the desk with even more storage space. 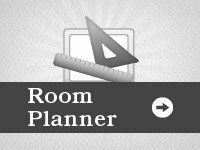 Stack books or decor on its shelves and use the lower drawer for hiding office supplies, papers and related items neatly out of sight. Silver accent hardware complete the clean lines and chic cappuccino finish of the Skylar home office collection with just a hint of shine. 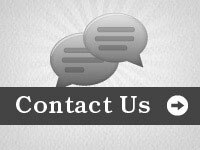 The Skylar collection is a great option if you are looking for Contemporary furniture in the Uhaul, Ocean Grove, New Jersey, Monmouth County, Neptune area. 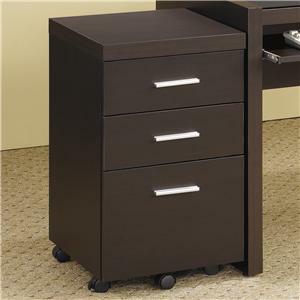 File cabinets feature three storage drawers. 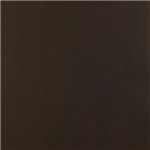 Finish & Paint Options Dark Cappuccino finish. Case Detail Silver accent feet and legs on desks. 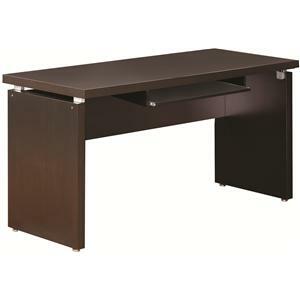 Description: Top Sleek, rectangular desk surfaces provide ample workspace. 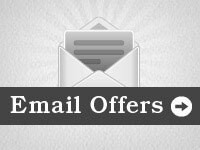 View other items in the Skylar collection available from Ocean Grove Mattress And Furniture 732-898-9650 in the Uhaul, Ocean Grove, New Jersey, Monmouth County, Neptune area.